Spencer has no reason to fight that guy, I don’t think Melvin’s earned the right to fight him yet. I think Spencer should be fighting somebody where he’s got something to gain.” Spencer obviously would be the favored guy, Melvin’s a dangerous kid, but I don’t think Melvin’s a polished fighter at Spencer’s level. This could be a fairly good fight, but as Pat Miletich said Fisher has to be the favored one going into this fight. I also agree that this fight doesn’t gain anything for Fisher. Guillard should be ranked below Fisher currently, but this fight will settle that. This card is shaping up, but I hope they add another interesting fight that would be of top billing calibur. Anderson Silva is always a draw, but the Cote fight is only exciting to me because ti is Anderson Silva. The Sanchez vs. Alves fight is interesting and Werdum should return here as well. In my opinion they need at least one more big fight here. Congratulations to the new Light Heavyweight Champion, Forrest Griffin. I slammed him the whole time. I said constantly he was not the number one contender over and over again. He fought well against Jackson. I do not know how long he can retain the belt, but I give him credit. Rampage showed he has no ground game and that will be a problem against some guys. Although the majority of the light heavyweights would rather stand and bang anyways. I will be ticked if they give Cote a title shot. He didn’t deserve to win. I also had that fight going differently than the judges. Find a different contender, you still have Okami, but also you have the likes of Bisping, Kampmann, etc. Josh Koscheck vs. Chris Lytle was my fight of the night. Koscheck looked great. I know everyone is down on Koscheck and I am not a fan, but he is talented. Why boo the dude after he put on a great fight? Lytle is a warrior as that cut was huge. Koscheck is a top 5 welterweight and solidified that at UFC 86. Tyson Griffin keeps getting better. He still needs to finish, but he looked very, very good. Griffin may be near the top of the lightweight ranks. Melvin Guillard destroyed Dennis Siver and that KO was vicious. siver needs to be dropped by the UFC. Watch the official UFC 86 weigh ins here. Beware of Quinton “Rampage” Jackson’s scratch n’ sniff underwear. This match has been a long time in the waiting. Jackson is clearly the favorite going into this fight. I believe that Jackson is a better all around fighter than Forrest is, however on any given night a guy like Forrest can beat a better guy (as he did against Shogun). I think the countdown to UFC 86 got it right when the compared Forrest to Rocky Balboa, a guy who has done very well and has exceeded his skill set. Forrest is tough as nails and he trains harder than anyone in the sport. Rampage has knockout power and he is not afraid to slam someone. There are several story lines going into this fight. Many people will talk about the rivalry being developed through season 7 of the Ultimate Fighter. Many will talk about how Forrest beat Shogun and Shogun beat Rampage. Many will talk about Wanderlei Silva helping Forrest prepare for Rampage since Wanderlei has two wins over Jackson. There wil be a ton of people rooting for Forrest in this fight. When all is said and done though I do not think that Forrest is as good of a fighter as Ramapge. He could win, I am not counting him out, but the odds on favorite has to be Rampage and to pick against him in this fight as far as I am concerned would be silly. I do not know how this fight will go. It could end quickly with a KO or it could go the distance. Nevertheless I am picking Quinton “Rampage” Jackson to win via TKO in round 3. Patrick Cote is a solid fighter who has impressed as of late. He looks renewed and he has shown some skills since The Ultimate Fighter 4. This fight as being billed as the winner gets a title shot. Of course I believe they need to move in line behind Yushin Okami, but I would agree that the winner here could be justified as a top 5 middleweight. There is no secret to these fighter’s strengths. Cote excells standing up and can knock anyone out with one punch. Ricardo Almeida is a ground wiz. He is one of the best ji jitsu guys in MMA. He has beaten great ground fighters like Nate Marquardt. My question for Almeida is going to be in regards to how he will continue to do since coming out of retirement. Alemida just quit MMA at his prime. He was doing great and then quit. He then returned at UFC 81 with a win over Rob Yundt. Almeida moved from the undecard to co-main event after one fight. I have no problem with that as I feel Almeida is great. Since losing to Travis Lutter at the TUF 4 Finale, Patrick Cote has reeled off impressive wins over Scott Smith, Jason Day, Kendall Grove, and Drew McFedries. That isn’t too bad, and it shows why Cote is in title contention. Although separated by several yeats Almeida comes into this fight with a 7 fight win streak. Including wins over Nate Marquardt, Ryo Chonan, and Kazuo Misaki. Misaki and Marquardt are considered by many to be top ten mdidleweights and Chonan isn’t too shabby either. This is a classic ground fighter versus stand up fighter fight. If Almeida gets this to the ground Cote may be in trouble. I have a feeling Almeida has worked hard on take downs and I am sure Cote has worked hard on take down defense. I think this fight will not last past round 1. It will either end with a Cote KO or Almeida submission. I think Almeida’a experience will pay off and he will be able to take Cote down and submit him. I pick Ricardo Almeida by submission in round 1. Following Joe Stevenson’s fight with B.J. Penn many people forgot about Joe Stevenson as a contender in the lightweight divison. Let’s not forget that Stevenson is a top notch fighter. He is a tough dude, who didn’t do too badly against B.J. Penn. Tibau is 3-2 in the UFC with his losses coming to Nick Diaz and Tyson Griffin. Tibau is a good fighter, but I do not know if he is on Joe “Daddy” level. Joe has some quality wins in the UFC. In the end I think Joe Stevenson’s wrestling will prove too much and he will beat Tibau via unanimous decision. Koscheck is 8-2 in the UFC. Like Joe Stevenson, he has been forgotten since his loss to Georges St. Pierre. Don’t forget folks that Josh Koscheck (love him or hate him) is a contender in the UFC middleweight divison and is clearly a top 5 guy in the divison. He has wins over good fighters in Diego Sanchez and Dustin Hazelett. Chris Lytle is no push over. Lytle has been around the UFC for a while, debuting at UFC 28. I believe Lytle is 4-8 in the UFC. He has lost to some good fighters in Matt Serra, Matt Hughes, Karo Parisyan, Thiago Alves, Robbie Lawler, Joe Riggs, and Nick Diaz. He has fought some top notch fighters. He just hasn’t beaten the top tier guys. I though Lytle was done prior to his highlight reel KO of Kyle Bradley. Is Lytle going to be a sacrificial lamb to get Koscheck back into contention talk? I believe so. Lytle could stun everyone and KO Koscheck, but Koscheck is a good fighter who is improving. He needs a win here. A win here will set him up for a fight against another top contender. I look for Koscheck to shoot, get the takedown, take the mount and pound out Lytle. I pick Josh Koscheck by TKO in round 2. Tyson Griffin is always a part of great fights. This could be a great match, which quite honestly I have a hard time picking. Aurelio has a 16-5 record in MMA, however 4 of those 5 losses are split decision losses. He lost a controversial split decision to Clay Guida in his UFC debut and a split decision loss to Takanori Gomi. Aurelio has big wins over top tier fighters including a win over Takanori Gomi. Aurelio trains out of the American Top team with guys like Thiago Alves. Aurelio is a top tier lightweight. The winner of this fight is no doubt in serious contention (behind Huerta and Florian). This has the makings of a great fight, but I look for it to go the distance. Quite honestly this is a toss up in my mind. Both Griffin and Aurelio have top training. Both can hold their own striking and on the ground. I do not know who has the advantages anywhere. Interestingly, both have recently fought a common opponent in Clay Guida. Tyson Griffin won a split decision with Guida and Aurelio lost a split decision to Guida. In other words, that doesn’t tell us much. Both can hang with the big dogs. I will pick Tyson Griffin by split decision. (That sure would stink for Aurelio to have 5 of his 6 losses by split decision, perhaps he knows the danger of leaving it for the judges). Gonzaga has gone from main event to under card quickly. He las lost to Couture and Werdum and is now trying to climb back into contention. This fight may make it onto the pay per view card. This fight will tell us a lot about Gonzaga. He gained a lot of attention for his incredible knock out of Mirko Cro Cop. Since then he has lost to Couture and Werdum and hasn’t looked great. This fight will tell us if Gonzaga is a fluke. McCully is a good fighter, so it will be interesting. I still think Gonzaga is a top level fighter and I think that he will pull out a win here. I pick Gonzaga by TKO in round 1. Gurgel is a great trainer and he is 3-2 in the UFC, but he hasn’t beaten anyone notable yet. Cole Miller is 2-1 in the UFC and looked good on the Ultimate Fighter season 5. I think that this fight is evenly matched and I think that in the end Cole Miller will get the win by unanimous decision. Melvin Guillard is super talented. This may be his last chance in the UFC. If he loses he is done. He is already on record saying he’d like to move over to the WEC. He would do well there. I don’t think he is done yet though. I think Guillard will win this one by TKO in round 3. Rumor has is that Corey Hill is improving greatly. He looked great in his last fight against Joe veres, but Buchholz is astep up in talent. I still think Hill will prevail. Hill’s height will prove too much and he will utilize his reach and the muay thai clinch. Hill is a 6;4” lightweight! I pick Corey Hill by a barage of knees and TKO in round 1. * Upset watch denotes my picks which I feel could turn into upsets, in other words, these are my picks I would least be shocked if they were wrong. 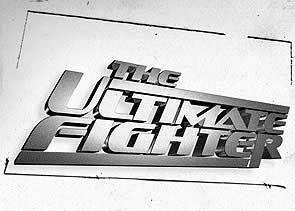 Which TUF Season Produced the Best Fighters? TUF 1 saved the UFC. Dana White acknowledges that the finale fight of Bonnar vs. Griffin was a defining UFC moment, perhaps that is why Griffin is getting a title shot. In this season you have 2 or 3 guys that could hold a title eventually. Kenny Florian is looking dominant. Diego and Josh both are doing well as is Mike Swick in the welterweight divison. Chris Leben may never win a title, but he is winning a lot. This may not have as many stud fighters as season 1, but season 2 was good and produced 4 serious contenders (Stevenson, Marcus Davis, Keith Jardine, and Rashad Evans). The comeback season was a success. Travis Lutter lost to Anderson Silva, but still looked good. We will see how he does against Rich Franklin. We all know of Matt Serra winning against St. Pierre. Clementi, Cote and Lytle all have looked good lately. This season has a lot of names that UFC fans know. This season is still developing talent. However, these lightweights are all contenders. I think this season has 5 or so guys that could be top 15 material in a stacked divison. Not a bad season, but disappointing as far as how these guys have done after the show. Bisping has done fair and dropped to middleweight and we will see how he does there. Matt Hamill may be the success story of this show. Kendall Grove has fallen hard. Ed Herman can rise some if he keeps winning. This show was the weakest of all. We will see the effects of it. In two years there may be two or three guys in the UFC from TUF 6. Mac Danzig was so much better than everyone else on this season. George can be decent and do well in the UFC. Tommy Speer is so raw. Matt Arroyo has good skills, but we will see. Guys like Koppenhaver and Rollins have earned some time in the UFC, but I doubt it will last. Watch for Mac though to climb the lightweight ranks. The least bolstered is the Heavyweight divison, because there are no current UFC TUF alumni in that divison. Evans and Jardine comepeted in Heavyweight and then dropped to lightheavyweight. The fourth most bolstered is the middleweight divison. There are 11 TUF alums in the middleweight divison currently and none are real contenders right now. You have a bunch of second tier guys in: Travis Lutter, Ed Herman, Kendall Grove, Nate Quarry and Patrick Cote. Some of those guys are close to breaking through to contender levels. I would say your most succesful guy has been Chris Leben and I believe Michael Bisping will be a contender, but contender is a tough word in a divison where Anderson Silva owns the belt. I don’t think these guys could beat the top 4 or 5 in that divison. The third best divison is the lightheavyweight divison. However, these five guys are all above average guys. I consider three of them legit contenders in the divison (Griffin, Jardine and Evans) and I consider Bonnar and Hamill the best of the second tier guys. Bonnar and Hamill are slated to fight in April, the winner will become a serious contender threat and break into the top 12 in that divison. I put them below the others sheerly because they don’t have as many alums in the divison now. To be honest the second and first was a toss up between the welterweight and lightweight divisons who have both benefited from TUF competitors dropping to their weight classes. Here are my arguments for both. The welterweight divison has a champ in Matt Serra. Also one could argue that they have 2 other top five fighters in Koscheck and Sanchez, making TUF alums 3 of the top five in that divison. If you throw Marcus Davis, who is a serious contender is the mix you have some good fighters, not to mention guys like Mike Swick who have just dropped down. The jury is still out on the TUF 6 guys. We will have to wait and see who will stick around the welterweigh divison. I look for Speer, Sotiropplous, and Arroyo to make a little splash. The lightweight divison has the most TUF alums by far. Obviously, Joe Stevenson has been the most successful and could get a title shot. They also have another top five guy in their divison in Kenny Florian. Joe Lauzon is set to fight Kenny and could move into seriosu contention if he pulls out a win. I wouldn’t overlook guys like Mac Danzig, Nate Diaz, Cole Miller, Manny Gamburyan or Gray Maynard. Din Thomas has proven himself well and Rich Clementi and Jorge Gurgel are no scrubs. If you made me pick the most benefited from TUF I would say the lightweights, with the welterweights close behind. It is kind of interesting to note that in 2008 at least 3 guys from TUF will get a title crack (Serra, Stevenson, and Griffin) and possibly more. TUF will continue to have an impact on the UFC for the good. They hope to help out the middleweight divison, but likely good welterweights will bulk up to get on the show and the best of the next season will help the welterweight divison most. In my opinion, they need to help out the middleweight, but in order to do so the show has to feature light heavyweights. I look forward to see the new twists and turns of TUF 7, and to see the impact of the future TUF alumni on the UFC. Ultimate Fighter has been Dana White’s best move and he admits is helped the UFC greatly.